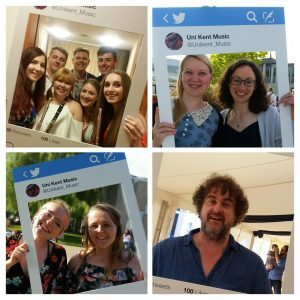 Awards ceremony recognises outstanding contributions to music-making at Kent | Music Matters | Because it does. Doesn't it ? 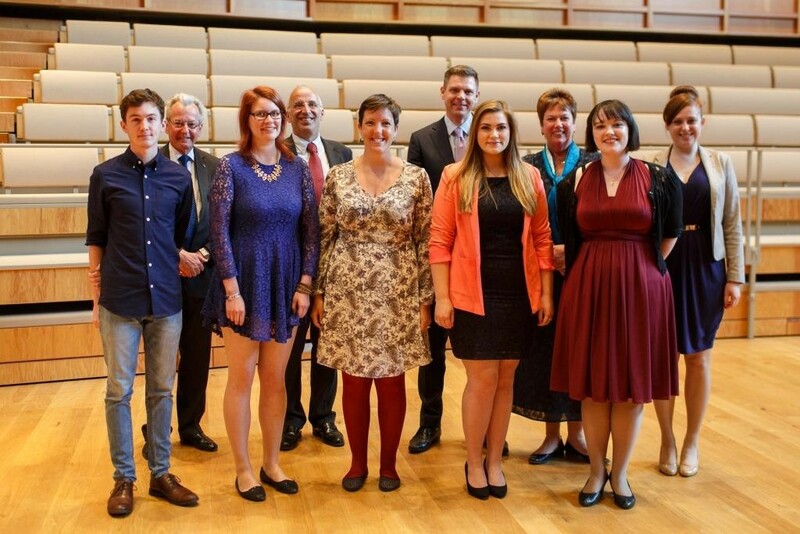 This year’s music prizes at the University of Kent have been awarded to six outstanding students at a ceremony at the end of the Scholars’ Lunchtime Concert during Summer Music Week. They received congratulations from Rosie Turner, Director of the Canterbury Festival, Jonathan Monckton, former Chair of the Colyer-Fergusson Charitable Trust, Professor John Craven, formerly Deputy Vice-Chancellor at Kent, Professor Keith Mander, Deputy Vice-Chancellor and members of the Music Awards Committee. The Canterbury Festival Music Prize, which is awarded to a final-year student who has made an outstanding contribution to music was presented to Emma Murton. As well as being this year’s student conductor of the Chamber Choir, Emma has also been a singer in Chamber Choir, Chorus and Cecilian Choir, and harpist with the Symphony Orchestra and Lost Consort; she also played the harp in the recent Music Department commission, Ringing Changes. She has also sung in Musical Theatre showcases, and was a University Music Performance Scholar. 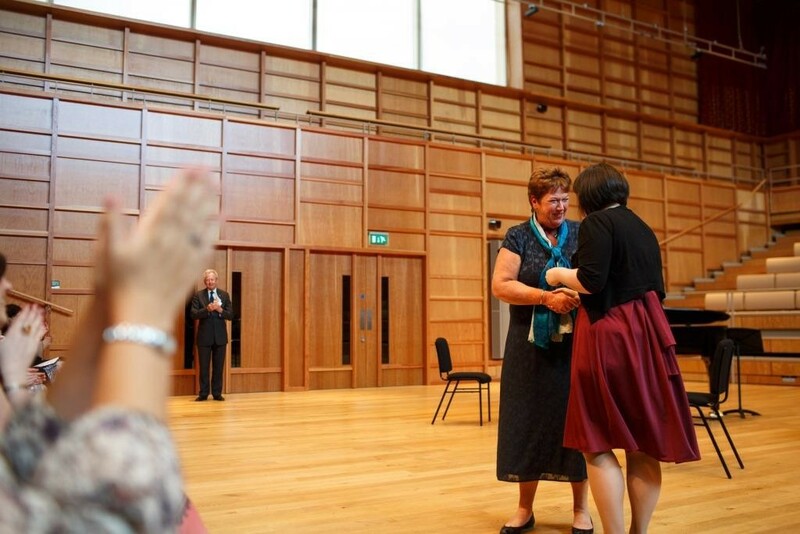 The award recognised her exceptional all-round behind-the-scenes organisation and administrative skills as Chorus Manager – the issuing and returning of vocal scores and deposits for members of the University Chorus (no mean feat! ), staff and external membership and liaising closely with the Music Department. She has also sung in Chorus, Chamber Choir, Cecilian Choir and Lost Consort, and was a University Music Lesson Scholar. 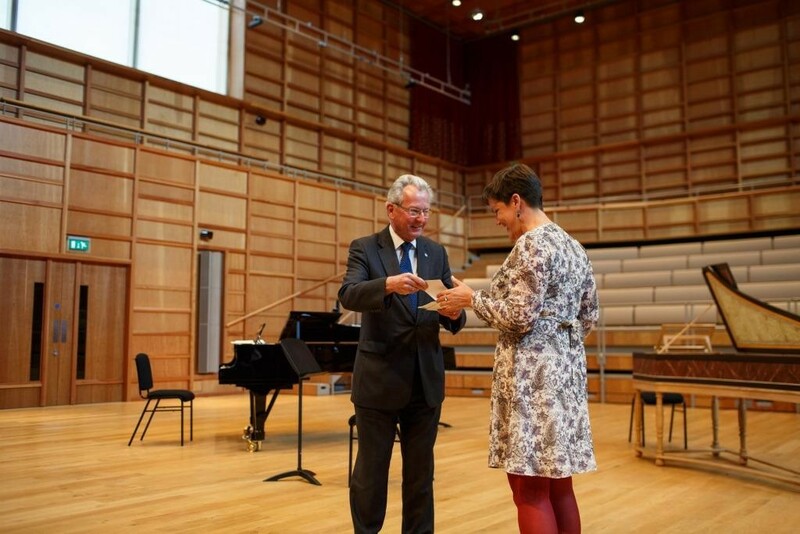 The John Craven Music Prize, which goes to a returning student who has made a major contribution to music at Kent, this year went to Anne Engels, a second-year student reading English & American Literature and Philosophy, and University Music Performance Scholar. Anne has played principal flute in the Symphony Orchestra and Concert Band, and was also in the Wind Ensemble, Wind Quintet and appeared as an instrumental soloist in the Chamber Choir Crypt Concert this year. The First-year Prize, awarded (if appropriate) to a student who has made a significant contribution to music during their first year, was presented to Jonathan Butten, reading Biomedical Sciences. As a University Music Performance Scholar, Jonathan has played principal oboe in the Symphony Orchestra in all the major concerts, and also a prominent cor anglais solo in the orchestral concert in March. He has also played in the Wind Ensemble and Wind Quintet. The University Music Awards Committee Prize, for students who have made a special contribution to music, was awarded jointly to Hannah Perrin and Kathryn Cox. In her final year as a PhD student in Social Policy, Hannah’s award recognised her all-round special contribution to music-making for the past five years as both a Masters and PhD student. Her participation has included singing in Chorus, Chamber Choir, Cecilian Choir and the Lost Consort and she was also pianist for the student group Sing! She helped the Music Department organise several events for Children in Need, and has brought an enthusiasm and a commitment to music at Kent that has been a motivational force throughout the department. Kathryn, a University Music Scholar in her final-year reading Psychology, has made a particularly valuable contribution to University Music as a singer, as a member of Chorus, Chamber Choir, Cecilian Choir and the Lost Consort. She was also a number of solos in concerts, and lunchtime foyer events, including the Variations for Judith project, held over eleven consecutive days earlier this year, and took part in a singing masterclass with Dame Anne Evans last year. The extra-curricular musical life at the University is a reflection of the commitment, enthusiasm and excellence of many of its participants, and it’s a great pleasure to be able to recognise the outstanding contribution made by particular students, whose energy and enthusiasm for making music alongside their academic studies has done so much to enrich the life of the University this year. Our thanks also to our generous donors, whose financial support enables us to award these prizes each year.